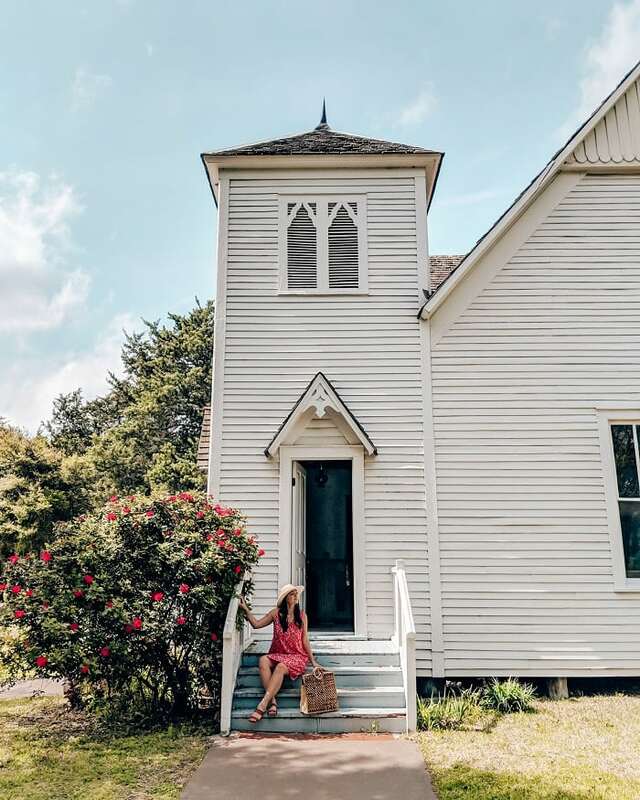 Did you know that a quaint village exists near Downtown Dallas where you can see what life was like back in the 19th and 20th centuries here in north Texas? I sure didn’t until this weekend! 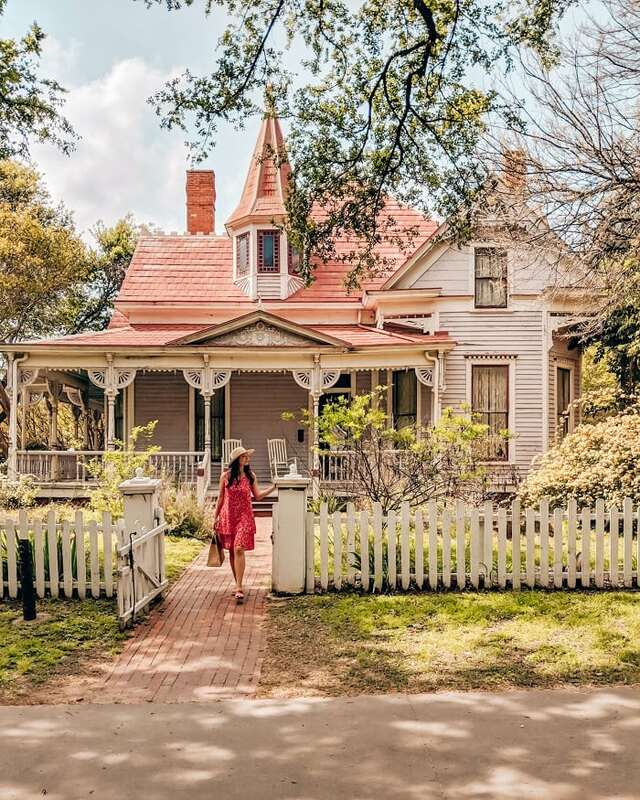 But now that Harrison and I have visited the Dallas Heritage Village, it’s something that I’d recommend to anyone looking for something new to do. Step back in time and see what life was like way back when. 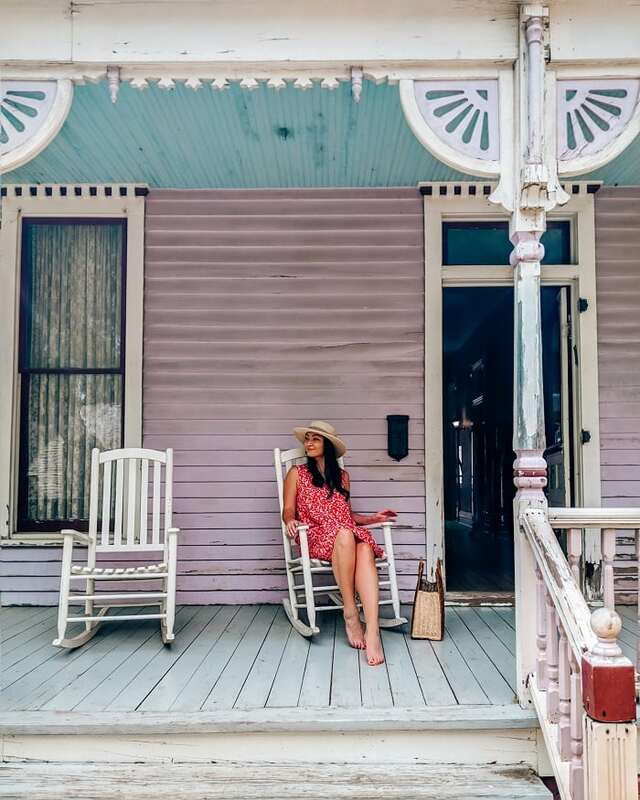 You can go into the actual buildings that existed in the 1800’s and experience just how different your Dallas experience would’ve been. 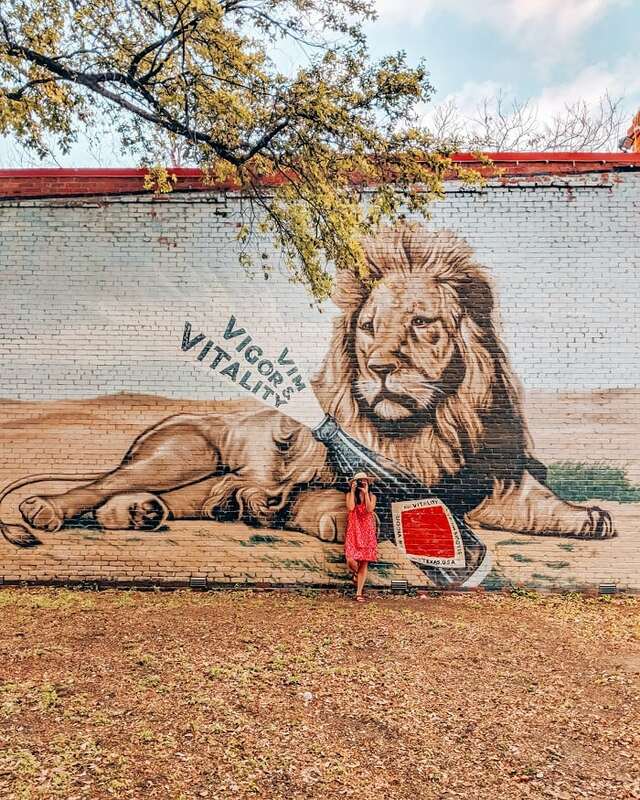 Here are a few things you can expect when visiting the Dallas Heritage Village. Get ready to learn a LOT about history here. My favorite thing I learned: at the Worth Hotel, guests were not guaranteed a bed- by themselves that is. If another guest came and the hotel was booked, they’d squeeze a stranger in your bed! 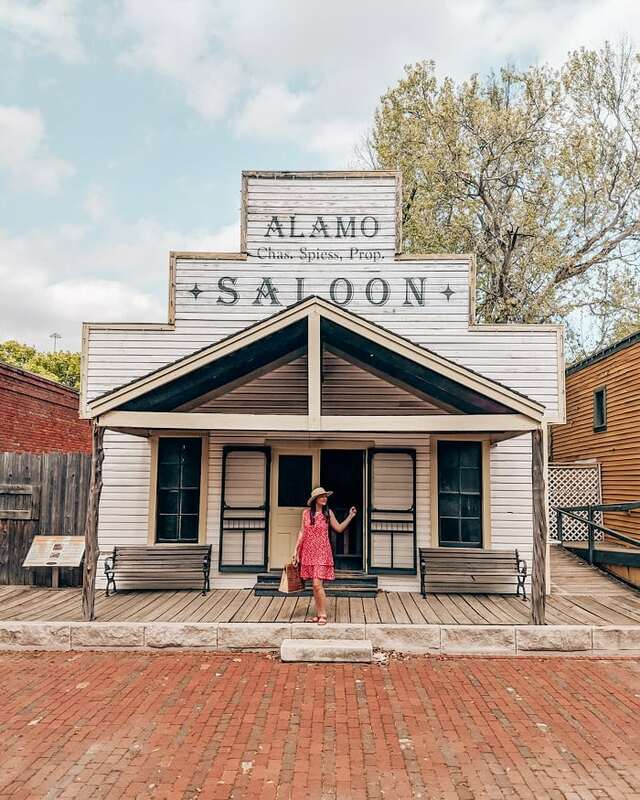 There are so many different types of historic buildings- bank, dentist’s office, and saloon are just a few of them. This is a great place for families. A fun learning experience that both kids and adults will find fascinating. You’ll find animals here too- goats, donkeys, and chickens await! This place is beautiful, complete with gorgeous landscaping and flowers throughout. This is more than just a few old buildings. 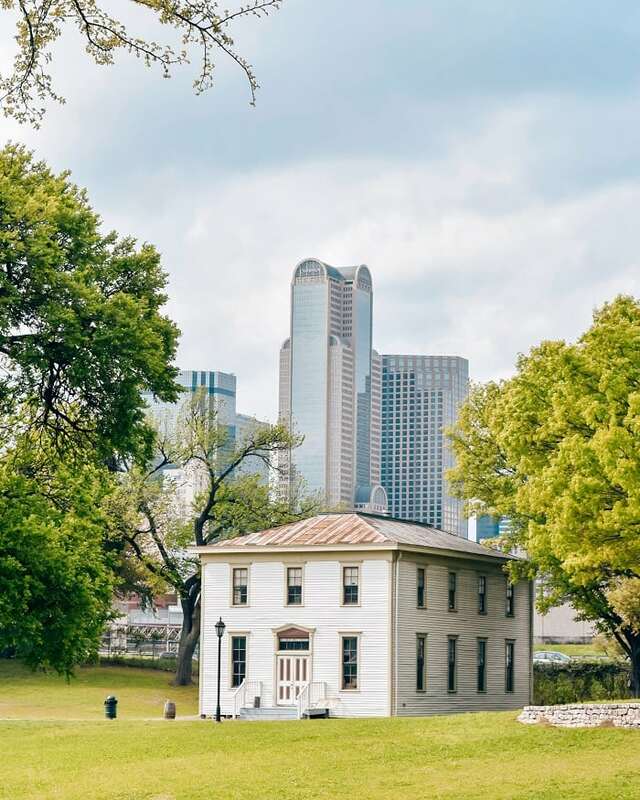 There are at least twenty buildings to explore at the Dallas Heritage Village. They range from age (1840-1910) and location, so there is a lot to learn. With a variety of houses that represent different lifestyles, you can see how all kinds of people lived. Check out log cabins, the Worth Hotel, and a Victorian home, to name a few. 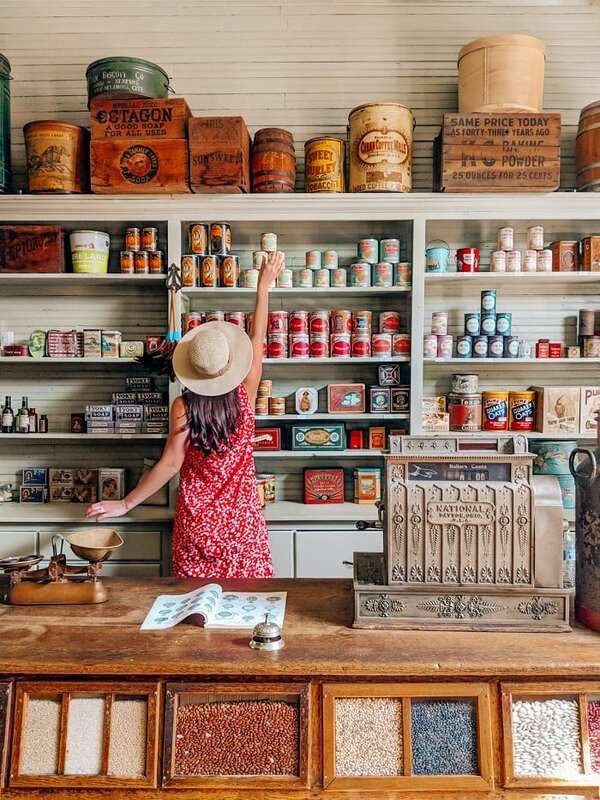 Like this interior of the general store that is to die for! How cute is this?? 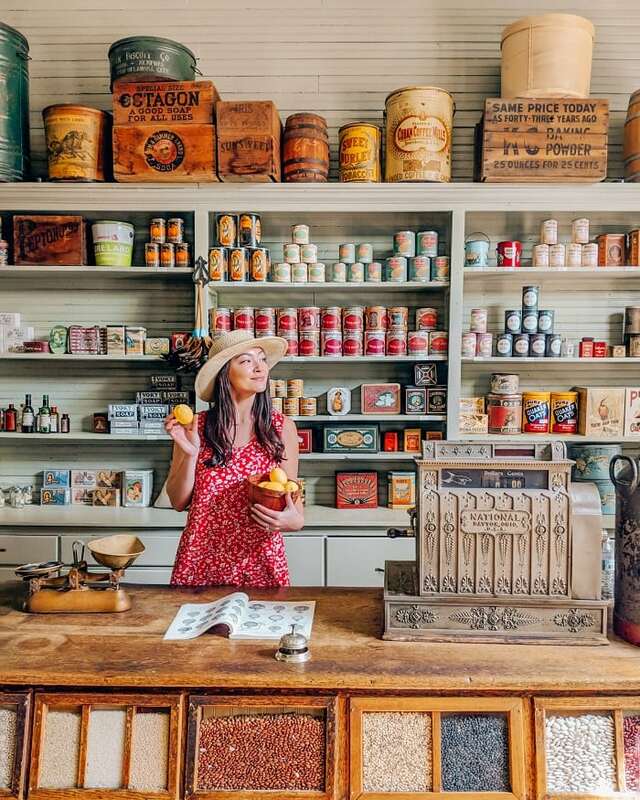 Get a taste of the past in the present: workers at the Dallas Heritage Village show you the past in action. When Harrison and I went, we got to see a blacksmith pounding out a hunk of metal. 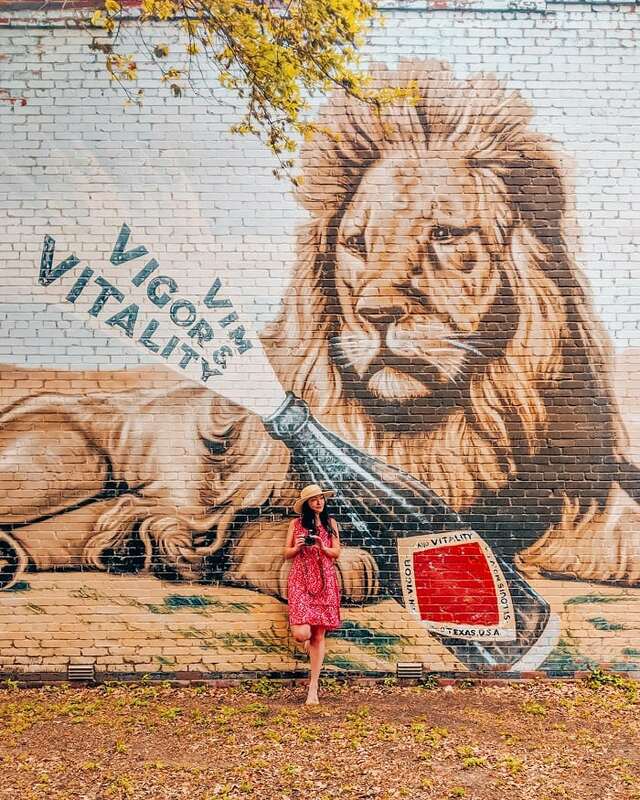 Seeing as how Dr. Pepper originated in Texas in 1885, this mural is truly fitting! 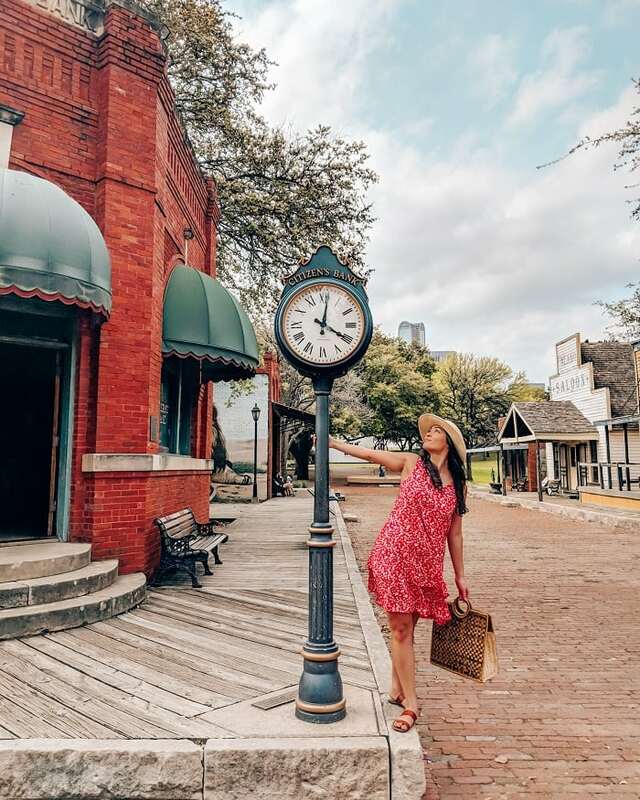 The more you get immersed into the Dallas Heritage Village, the more you forget about the sprawling city you’re in! It’s a quiet town set in front of Downtown Dallas- quite the contrast! 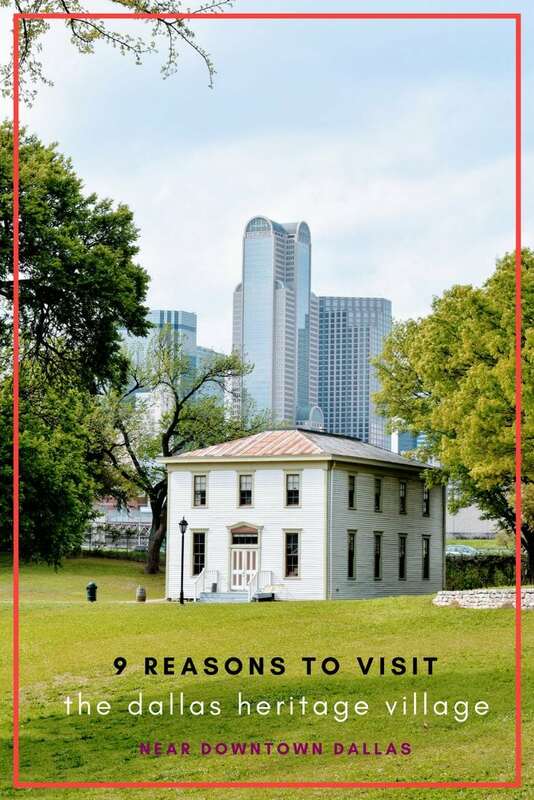 Have you visited the Dallas Heritage Village? Comment your favorite things below! And if not, go and have fun! It is regularly $9 per person (but $5 for children), and you can buy tickets at the entrance. More ticket information can be found here. There is plenty of free parking as well! And while you’re in the area, hop on over to the Dallas Farmers Market (it’s so close to it, so you might as well check out my favorite place in Dallas! ).